Along with the benefits of exercise there is also potential risk of injury. At West Point Grey Physiotherapy we have a team of experienced physiotherapists, kinesiologists and massage therapists that will work together to provide patient-centered, holistic treatment approaches to ensure a speedy return to play. Motor Vehicle Accidents are one of the leading causes of upper back and neck injury. Whiplash, a common injury sustained in MVAs should be treated as soon as possible. Our team of physiotherapists and massage therapists provide collaborative patient-centered care to ensure successful recovery from various MVA musculoskeletal injuries. The province of British Columbia has the third highest prevalence of work related injuries (Human Resources and Skills Development Canada, 2009). Some of the most common work related injuries are strains and sprains due to overuse and bone fractures. At West Point Grey Physiotherapy we prescribe effective treatment strategies to ensure a prompt return to work. We work with the Worker’s Compensation Board of British Columbia and provide treatment for work-related injuries under approved WCB claims. Our talented physiotherapists have over twenty years of experience working with and providing appropriate rehabilitation for post-operative patients. 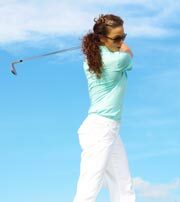 We also provide treatment for post knee and hip replacement surgery which is covered by Vancouver Coastal Health. The staff at WPGP are capable of providing rehabilitation for a variety of neurological conditions including Parkinson’s Disease, Multiple Sclerosis and Stroke. Objective spinal assessment with ValedoShape. Treatments may involve spinal joint mobilization, soft tissue release, electrotherapy and exercise therapy with ValedoMotion. The ValedoMotion enhances the low back pain therapy with functional motivating exercises specifically designed for low back pain therapy. West Point Grey Physiotherapy offers an Active Rehabilitation Program which is specifically designed to help patients recover from injuries related to motor vehicle accidents. One on one sessions with our registered physiotherapists will focus on exercises that help you return to work as quickly as possible. ICBC approval is required for participation in this program as the cost of treatment is covered by ICBC. This unique orthopaedic service helps you manage all shoulder, neck and upper back complaints. Consultations involve accurate diagnosis, early treatment with cutting edge rehabilitation, combined with a wealth of experience and expertise. A continuum of treatment is offered from acute injury management, chronic injury recovery and high performance fitness and health. 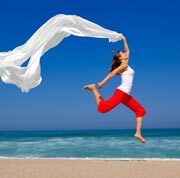 We offer a variety of treatments for addressing balance disorders, including strengthening exercises, properioception enhancement, and Valedo® therapy. 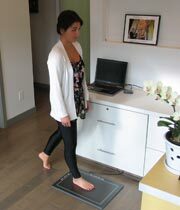 We use the TOG gait Scan to assess and make custom orthotics. The TOG GaitScan™ is an innovative diagnostic tool and digital casting device that allows practitioners to analyze patient biomechanics and order custom orthotic products. During acupuncture treatment there is insertion of very fine stainless steel needles into acupoints. Most of those points are found along meridians by which energy or Qi flows through the body. When acupuncture points are stimulated there is release of endorphins (naturaly produced pain killers) which help block the message of pain and promote healing process. Acupuncture is most effective in treating acute and chronic pain ,such as headache ,low back ,neck or muscle pain,as well as an osteoarthritism and repetetive strain conditions. Besides regular treatments to improve joint mobility and control pain, we offer “Short Wave Diathermy” to speed up the healing process. “Short Wave Diathermy” is a form of electromagnetic wave which helps decrease joint stiffness, increase vasodilatation, and reduce muscle spasm. All of our patients can count on one-on-one treatment from any of our skilled professionals. Successful rehabilitation is our top priority. Expert advice on how to manage your injury, disease and/or disability. Our treatment protocol includes manual therapy, exercise therapy, and patient education. Kerrisdale, Dunbar, and Vancouver Westside.